Danish Gambit Declined - Chess Gambits- Harking back to the 19th century! After 1.e4 e5 2.d4 exd4 3.c3 Black quite often declines the gambit. There are many transpositions with Göring Gambit lines, when Nf3 for White and ...Nc6 for Black follow, but there are also many independent possibilities. One advantage of the Danish Gambit move-order is that 3...Nf6 is less effective against the Danish than 4...Nf6 is against the Göring. The main problem with 3...Nf6 is that after 4.e5 Ne4? !, the knight is in an unstable position as it can easily be kicked with f2-f3, so Black has to play 4...Nd5 and then 5.Qxd4 follows, giving White a slight advantage. 3...Ne7 (the Svenonius Defence) is a particularly significant issue with the Danish Gambit move-order. White cannot force a transposition into the favourable line of the Göring Gambit that arises from 1.e4 e5 2.Nf3 Nc6 3.d4 exd4 4.c3 Nge7 5.Bc4 d5 6.exd5 Nxd5 7.0-0, since if White plays 4.Bc4 d5 5.exd5 Nxd5 6.Nf3, then 6...Nb6 follows (instead of the transposition with 6...Nc6). 4.Nf3 d5 5.Qxd4 Nbc6 is also unappealing for White. Therefore White most often continues with 4.cxd4 d5 5.e5 Nf5 6.Nc3, but then as well as the standard 6...Be7, Black has 6...c5!? which aims for active piece play in return for an isolated pawn on d5. White can sacrifice a pawn with 5.Nc3!? dxe4 6.Bc4 Nf5 7.Nge2, but as long as Black isn't tempted to hold onto the pawn, the best White can get into the early middlegame is to regain the pawn and have equality. This line is also more effective against the Danish than it is against the Göring, but I don't think that White should worry too much about it, for White ends up with compensation for a pawn. 4.cxd4 Qxe4+ 5.Be3 Bb4+ 6.Nc3 is the usual continuation, with White relying upon a development advantage and opportunities to gain time against the black queen to provide compensation for the pawn. If Black plays ...Nf6, ...Nd5 and ...Nxe3 then the capture with f2xe3 opens up the f-file for the white king's rook. However, this line is worth considering from Black's point of view as it may well be as strong as 3...dxc3, and gives White chances to go wrong (e.g. 5.Be2?! Qxg2 doesn't give White enough for two pawns). Against this White should just play 4.Bxd3 and follow up with Ng1-f3, whereupon Black has nothing better than to accept the transposition into Göring Gambit lines with ...Nb8-c6. 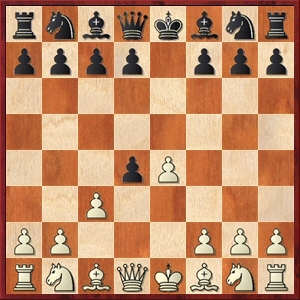 This is the standard equalising move, aiming for mobilisation of the pieces, but it is often recommended with the aim of steering play into a drawish endgame (4.exd5 Qxd5 5.cxd4 Nc6 6.Nf3 Bb4+ 7.Nc3 Bg4 8.Be2 Bxf3 9.Bxf3 Qc4, as introduced by Capablanca, whereupon White should exchange queens). White can avoid this line with the deviation 6.Be3, which is probably sufficient for dynamic equality, but it may be more reliable to accept the transposition into the Göring Gambit with 6.Nf3 and then deviate with 8.Be3 instead. An independent option for Black is 4...Nf6, after which 5.Bb5+ Bd7 6.Bc4 b5 7.Bb3 dxc3 is the most important continuation, leading to approximately equal chances. Note that via the Danish move-order, 4.Bd3?! is inadvisable because after 4...dxe4 5.Bxe4 Nf6 White must retreat the bishop.